Step away from the plain white bed sets. 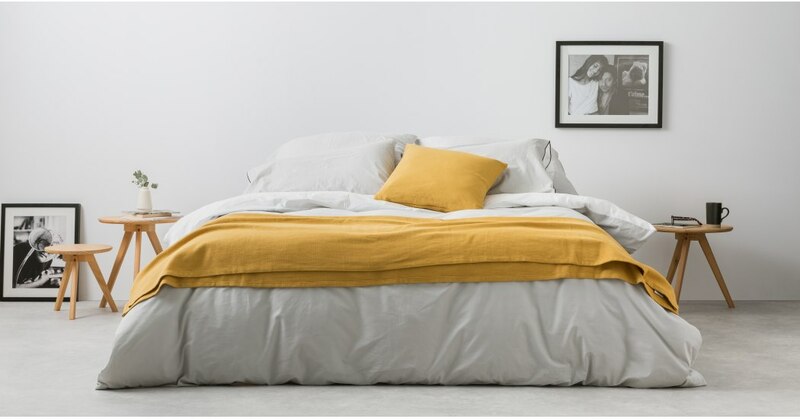 You’ve landed here, so you appreciate colour and know what it can do for your bedroom. Use it - go for the Solar bed set. You’ve got the choice of a range of electric colours. And when you fancy a change, just flip them over to enjoy the grey reverse. It’s great value for money, but we haven’t forgotten the details. Check out the contrast overlock stitching. We suggest getting scatter cushions to match those accent colours.